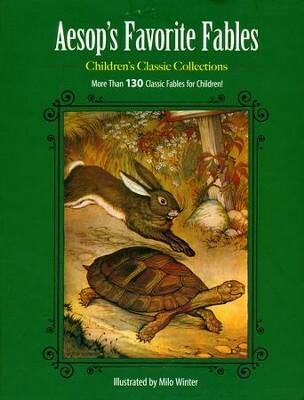 Passed down for thousands of years, Aesop's Fables is a collection of moral stories by the famed storyteller from ancient Greece. 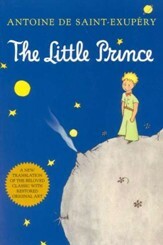 Reprinted and translated thousands of times over the past two millennia, this collection represents some of the most widely known and famous children's literature. Many of these fables bestow human traits upon animal characters and place them in human situations to highlight desirable and less desirable traits. 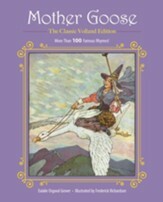 Their intent, through the telling of these tales, is to teach readers important moral lessons such as "Self-help is the best help" or "Do not attempt too much all at once." Accompanied by beautiful color illustrations by renowned illustrator Milo Winter, this collection is sure to ignite young imaginations and educate readers about virtue, kindness, integrity, problem-solving, happiness, and what it means to be human. 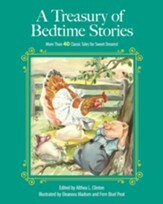 Racehorse Publishing’s Children’s Classic Collections is a new series that offers readers timeless compilations of children’s literature. Handsomely packaged and affordable, this new series aims to revitalize these enchanting works and continue the tradition of sharing them with the next generation. Accompanied by beautiful color illustrations by renowned illustrator Milo Winter, this premiere collection of Aesop’s Favorite Fables is sure to ignite young imaginations and educate readers about virtue, kindness, integrity, problem-solving, happiness, and what it means to be human. Aesop was an enslaved storyteller in Ancient Greece. He is said to have been born in 620 BC. 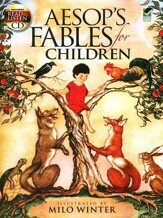 He is also said to be the author of hundreds of famous fables, which are still told and reprinted today. Aesop died in 564 BC. Milo Winter was born in Princeton, Illinois, in 1888. A renowned illustrator during the early nineteenth century, he is known for his work on Arabian Nights, Alice in Wonderland, Gulliver’s Travels, A Christmas Carol, and Aesop’s Fables. He worked most of life as an illustrator of children’s books for various publishers. Winter died in New York City in 1956. I'm the author/artist and I want to review Aesop's Favorite Fables.